How do you convert your 3,000 word Case Study into a 10-minute presentation?! FOREWORD: Please be aware that this post is not an official RICS guidance. All the advice given in this blog is based on my personal interpretation of the APC Candidate’s Guide 2015 which I have enhanced through many discussions with fellow APC Mentors and APC Assessors. Nobody can possibly read 3,000 words under 10 minutes so there is no point trying to cram everything in your presentation. Based on my personal experience, 1,300 words is a good target to keep within the 10 minute time limit. You need to focus on the key message that you want to convey to the panel, and this might be by covering only one key issue during your presentation. It is actually common practice for candidates to only present one key issue. If the assessors want to know about your second key issue, they will do it during your 10 minute Q&A session. So, what is the key message that you want to convey? I think, in simple words, that you want to explain to the panel that you provided your client with the best possible professional and reasoned advice, that you have learnt a lot from this experience and that you are ready become chartered!! You need to really focus on your logical reasoning. Do not waste time talking about the project details or what other people did more than strictly required. Remember that explaining is not just about providing information, it is being able to justify how and why things happened. You need background and reasons as well as facts. One tool that we use to achieve this with our candidates during our ‘Case Study Presentation’ workshops are mind maps, also called spider diagrams. If you cannot attend one of our workshops, you should still be able to find some information on the web. All presentations should have a powerful introduction and conclusion! Give the outline of your presentation: Tell them what you are going to tell them. Summarise: tell them what you have just told them. The sole purpose of the background is for the assessors to understand how your key issue came to light and which constraints and challenges you had to overcome to resolve it. Remember that they will have already read the finer details in your written submission! Project description – only the relevant bits! Client & contractor’s description if relevant. Project challenges & constraints if relevant. How did you get to the stage when you encountered your key issue. Restate how you identified that there was a key issue(s). Do not forget to explain how and why decisions were made and do not hesitate to provide evidence and figures for one or two key points to reinforce your statements. One common mistake of candidates is to spend 3 minutes on the background and then fly through the lessons learnt. It is the easy way but not what the assessors are looking for. A decent portion of your presentation should be dedicated to the critical appraisal of your work because this is how you can demonstrate what an amazing professional you are! Did your solution change the course of the project? What was the most successful outcome? Or was there any room for improvement? You may provide here an update on the project if anything significant has happened since submitting your Case Study. Remember that if you exceed 10 minutes, the assessors will ask you to wrap up or cut you short, which would not be an ideal start to your Final Interview. Our best advice is to practice your presentation dozens of times with colleagues, friends, family, in front of your mirror, with your dog, anything!! If you need some help to prepare for the interview, we offer APC Questions packs, mock interviews and mini mocks. Please check our interview preparation services here. Alternatively, we offer face-to-face training for corporate clients across the UK. Please e-mail us at Sonia@APCsupport-ltd.co.uk to discuss your requirements. And as always, we are on Twitter @APCsupport_Ltd and you can send me an invite on LinkedIn if you would like to be notified of our latest events. This entry was posted in Presentation and tagged APC, Case Study, coaching, interview, Presentation, workshop. One topic that was lively debated at our ‘Interview Tips and Mock APC’ workshop in Manchester on 7th May 2015 was the use of visual aids for your case study presentation at the beginning of your APC interview. Below are some of the key points discussed at the workshop. Candidates should be aware that for logistical reasons, APC interviews are traditionally held in unconventional locations such as hotels rooms, airports or football stadia. As a result the rooms are generally small, not equipped with any IT facilities and may present the odd feature such as bedside lights or a couple of busy groundsmen mowing turf under your windows! Candidates are also strongly discouraged from bringing in laptops, I-pads or mobile phones. IT equipment takes up valuable time to set up and is notorious for letting you down when you need it the most, so do not take any chances. Please be also aware that recording your interview under any form of media is strictly forbidden. 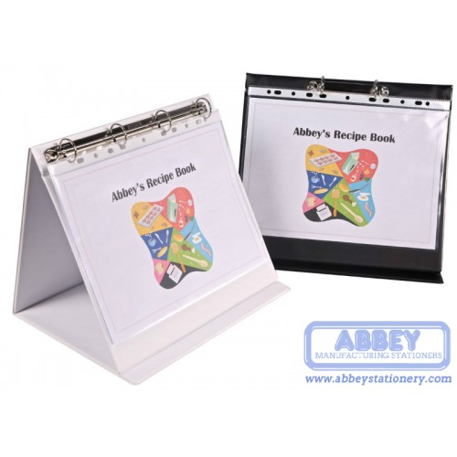 Some employers and APC training providers advocate that using an A3 easel folder is compulsory. Having spoken to many assessors, we do not agree with this statement. These A3 easel folders are like Marmite in APC world: some assessors love them, other detest them! The underlining reason for this division among assessors seems to be that many candidates are very clumsy when using them. In other words, if you want to use one, make sure that you have practiced many times and that that they enhance rather than hinder your presentation skills. Your slides should be brief and limited to a few key bullet points. Assessors will be very busy listening to you, referring back to your case study and taking notes; they will not have time to read lengthy slides. You should only use slides to clarify or illustrate a point, and summarise a section if necessary. If they do not add anything to your presentation, you should reconsider whether you need them at all. If you decide to use an A3 easel, place it on the table to your right or your left (depending whether you are left-handed or right-handed), but never in such a way that it would form a barrier between you and the assessors. You may insert a copy of the slides or some notes for your own use at the back of each slide but chances are that you will have to twist your neck to read them! Practice many times until you find what work best for you and consider using a mind map to assist you. Once you have finished answering questions on your presentation, remember to put your A3 easel out of the way, may it be on the floor if no better place is available! It is perfectly acceptable for candidates to only bring in a chart, graph or plan if it works better for them or if it is all that is required to enhance their presentations. As they say, sometimes less is more! In such case, we would recommend that you print three A3 copies of your graph / chart / plan for handing over to the assessors at the beginning of your presentation. As we have mentioned, assessors will not have time to read any large amount of text so hand-outs are not a good idea. Also avoid A1 or A0 drawings as you will have nowhere to open them up. As usual, if you have any queries feel free to drop us a line on Twitter @APCsupport_NW or e-mail us at Sonia@APCsupport-ltd.co.uk. Are you sitting your APC in the next couples of months and ready for the final stages of your APC preparation? Each session, we offer mock APC interviews for candidates in the construction pathways (QS / PM / BS / Infrastructure). Please e-mail us at Sonia@APCsupport-ltd.co.uk for details. We also offer many seminars and workshops throughout the year in Manchester, Liverpool, Leeds and Sheffield. This entry was posted in Presentation and tagged APC, Case Study, help, interview, Presentation, support, tips.